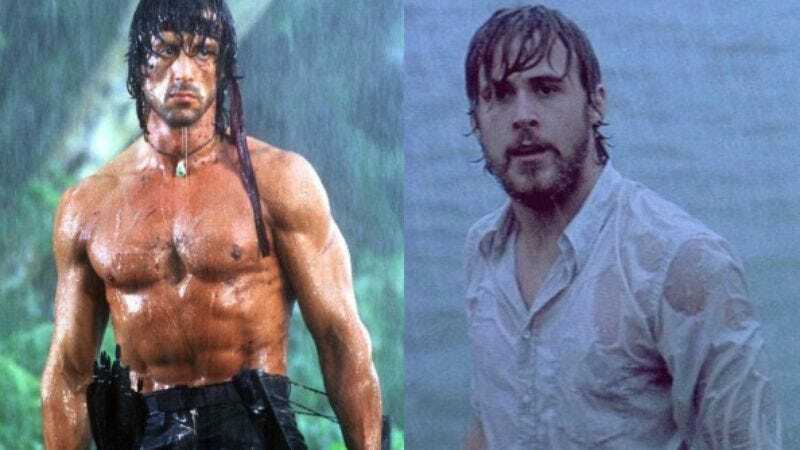 Ryan Gosling recently confirmed he’s starring in the Blade Runner sequel, and now it looks like he’s being considered to bring the role of Vietnam vet John Rambo into the new millennium. While stumping for Creed, Rambo-originator Sylvester Stallone was asked about rebooting some of his other movie franchises. Although Stallone initially resisted the idea of anyone replacing him in the series, he eventually suggested that Gosling would be a worthy successor, while also admitting that the Oscar-nominated actor was “kind of an odd choice” to play the one-man army. When word of his unofficial casting in the as-yet-unplanned reboot reached Gosling (via Cinemablend), the actor was a little skeptical. But once he learned that there was video evidence of the offer, Gosling said he was flattered because Stallone is “one of my favorite actors. Just the fact that he knows my name is exciting…He’s the best, I’m genuinely touched that he said that.” Now all Stallone and Gosling need to do—aside from secure funding, a script, a director, etc.—is pick the right bandana and practice running on the beach together.